As a K9 handler, the safety of your canine colleague is of paramount concern. Police and military canine officers are not pets - they are service members with important work to do, and just like you, they put their lives on the line every day to keep the peace in our communities. 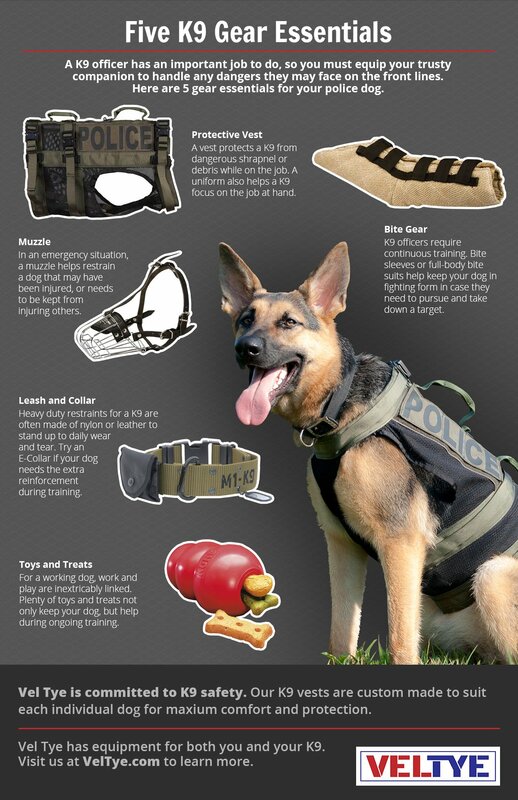 What are the five basic K9 gear essentials that keep your partner safe and minimize risk in the line of duty? Take a look at the infographic below for Vel Tye's suggestions. Click the image below to view the full-size infographic. 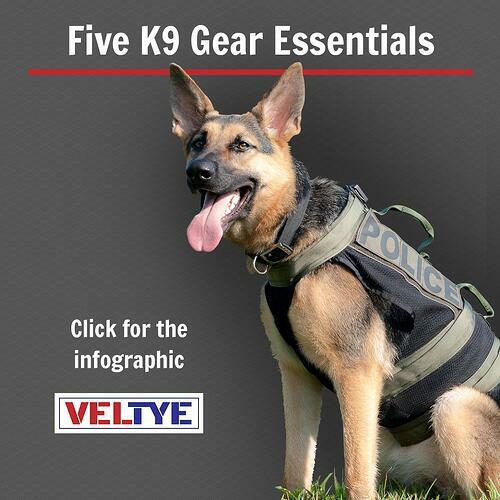 If you're looking for custom vests for your trusty K9 companion, contact Vel Tye today. We're dedicated to K9 safety and we look forward to hearing about your police and working dogs' needs.